Whenever I go back home to China, there’s one thing I can never leave without having eaten — scallion pancakes. The crispy edges, dough-y center and signature onion pungency of the pan fried street snacks are simply too perfect to resist. To be honest, if I could only have one food to cure a hangover, it would be these scallion pancakes. 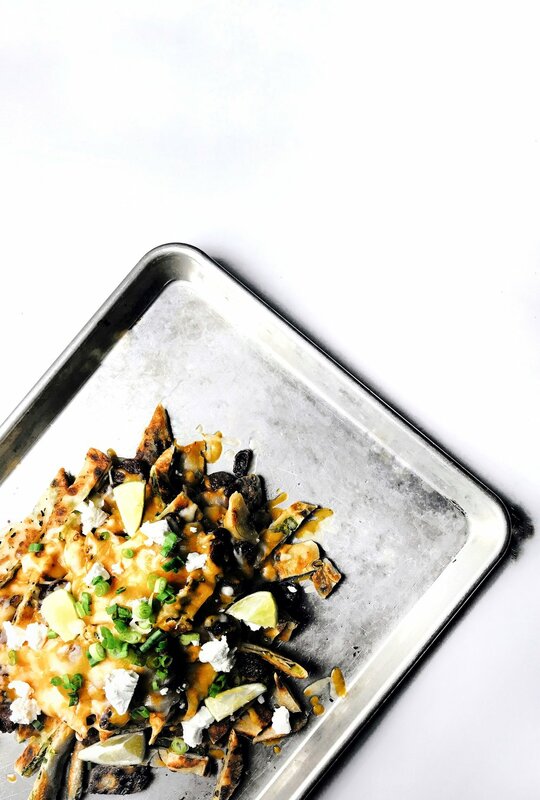 Of course, each culture has their own way of dealing with excessive booze consumption — in latin america, chilaquiles can be a popular option. This recipe is a marriage of two ultimate hangover cure recipes. Grease, fat, acid, and a whole bunch of savory, this scallion pancake recipe pretty much has it all. So whether you’re figuring out how to recover from a night out or simply on the lookout for a new way to eat Chinese scallion pancakes, this recipe is perfect to satisfy your cravings. Place water in a saucepot and bring to a boil. Combine 2 + 1/4 cups of flour and 1 tbsp. of kosher salt in a mixing bowl. Make a well in the center and add boiling water and sesame oil. Mix with a spatula or spoon until incorporated and a dough begins to form. Tip the dough out onto a lightly floured surface and knead until smooth, approximately 5-7 minutes. Add the extra flour as necessary. Shape the dough into a ball, cover with plastic wrap, and let rest four one hour at room temperature. Once the dough has rested, divide into 8 equal pieces. Working one at a time, roll out each piece of dough on a lightly oiled surface into a very thin rectangle (you should almost be able to see the your work surface through your dough. Brush lightly with the vegetable oil & sesame oil mixture. Top with about 1/4 cup of scallions and 1 tsp. of grated garlic. Starting with the longer end facing you, roll the dough away from yourself to form a small, thin coil. Roll the coil sideways into itself like a cinnamon roll. Set aside on a lightly oiled baking sheet covered with plastic wrap and repeat with the remaining dough.Rest at room temperature for 15 minutes. Starting with the longer end facing you, loosely roll the dough away from yourself to form a small, thinner rectangle. Turn the dough 90 degrees so taht the shorter side now faces you and roll up like a cinnamon roll. Set aside on a lightly oiled baking sheet covered with plastic wrap and repeat with the remaining dough. Rest at room temperature for 15 minutes. Roll out the coiled dough on a lightly oiled surface until about 13cm in diameter. Repeat with remaining dough, making sure to cover each in plastic wrap to prevent the dough from drying out. Heat 1 tbsp. of neutral oil in a pan and pan-fry the dough, one at a time, until golden-brown and flaky -- approximately 4-5 minutes. Flip and cook for another 4-5 minutes. Transfer to a wire rack to cool. Repeat with the remaining dough. Preheat the oven to 200C/395F. Slice the chinese sausage into small rounds. Heat 1 tbsp. of neutral oil in the same pan and fry the sausage until cooked through. Set aside. Once the pancakes are cool enough to handle, chop into strips of varied sizes -- don't worry if bits & pieces fall off, the irregularity makes chilaquiles even better. Transfer the sliced scallion pancake chilaquiles onto a parchment lined baking sheet in an even layer. Bake for 8-10 minutes to allow the scaliion pancakes to crisp up. Scatter the cooked sausage followed by the colby or monterey jack over the baked chilaquiles. Broil until the cheese has melted and slightly browned. Serve with goat cheese, fresh scallion, and a fried egg, if desired. Enjoy!